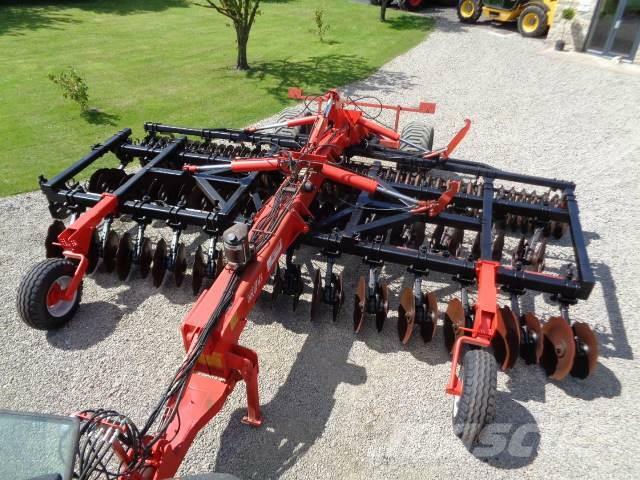 อุปกรณ์เชื่อมต่อ/ตกแต่ง Year 2009, hydraulic lift and fold, autogreaser, sprung 23 inch disc`s at one side 21 inch opposite, levelling harrows, steel wedge packer c/w scrapers, 500/45/22.5 flotation tyre`s, lights. tidy. ข้อมูลอื่นๆ Year 2009, hydraulic lift and fold, autogreaser, sprung 23 inch disc`s at one side 21 inch opposite, levelling harrows, steel wedge packer c/w scrapers, 500/45/22.5 flotation tyre`s, lights. tidy.